Dinner tonight was yummy and easy. It’s been a busy second week back at work, and I feel like I haven’t had much time to relax at night before bed. So something quick was a must! 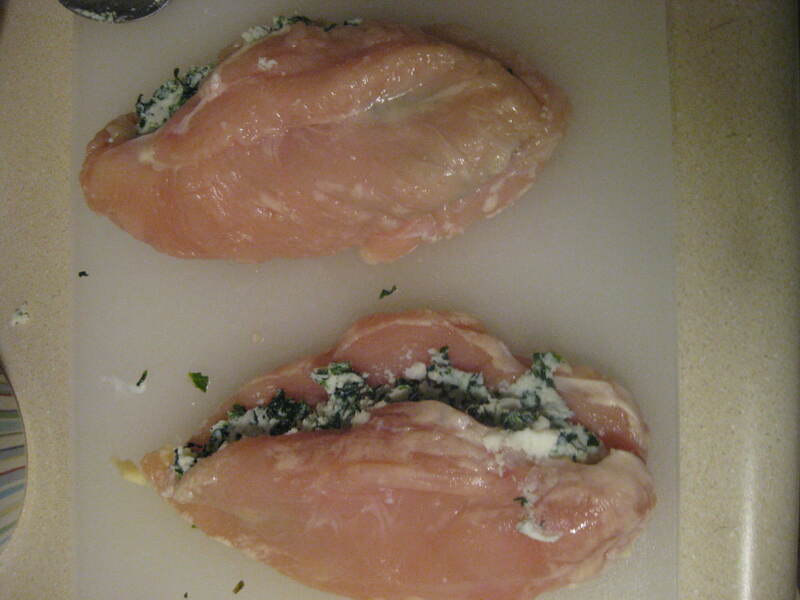 Then my sous chef fiance cut two chicken breasts the long way, so they each had a nice little pocket for the filling. 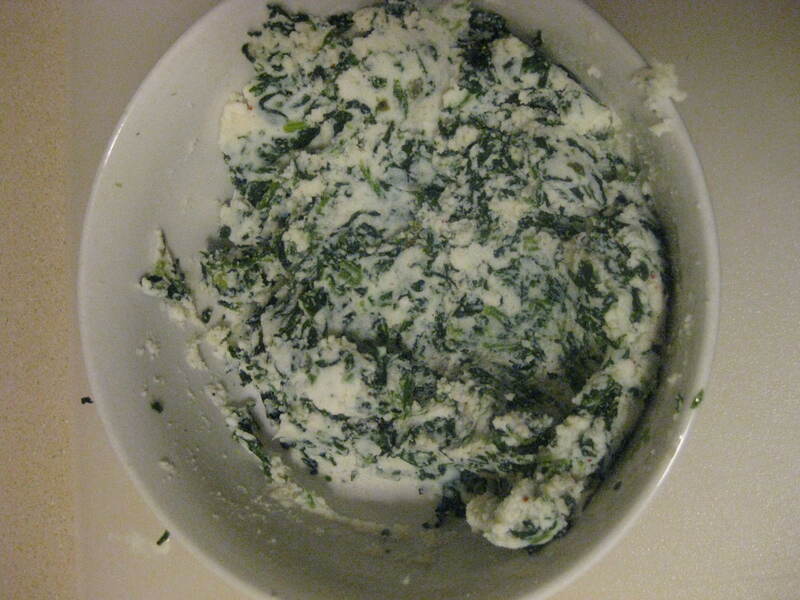 I spooned the spinach mixture into the pockets. We brushed each piece with olive oil and put it in the oven at 400 degrees for 20-25 minutes. What came out was oozing and creamy and delicious looking. And it tasted delicious too! Aside from the fact that I forgot to season the chicken (fail.) this was a great dish. I would definitely make it again. 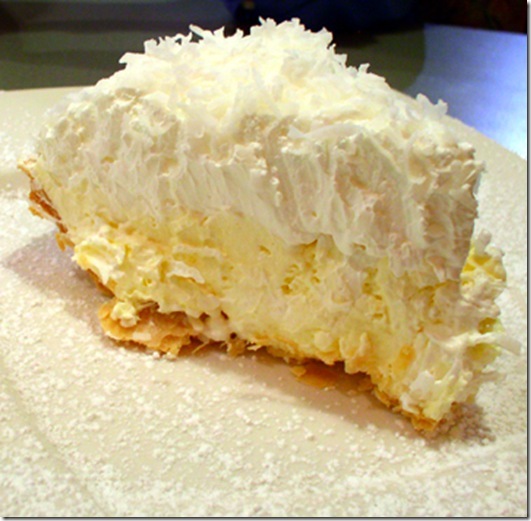 Ooo now that I think of it, maybe I’ll add a little goat cheese or cream cheese to the filling next time, just for extra creaminess! 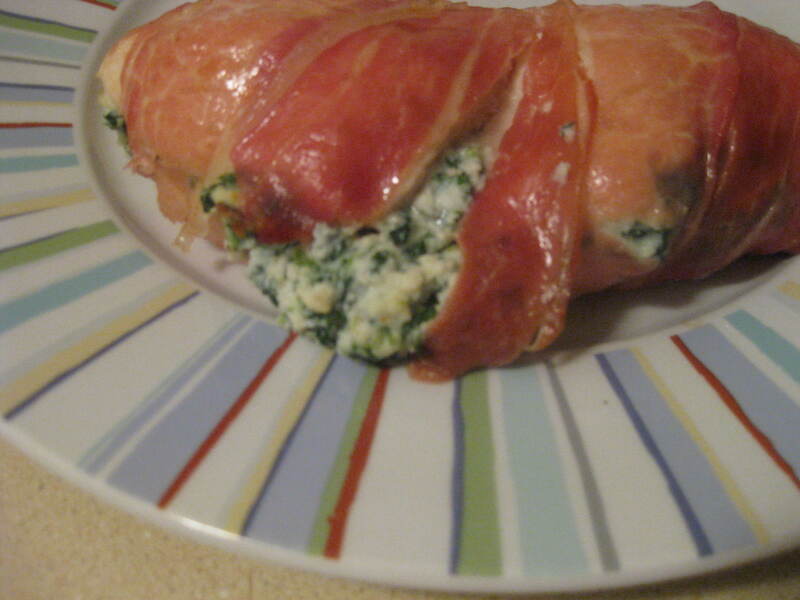 Do you like “stuffed” dishes? 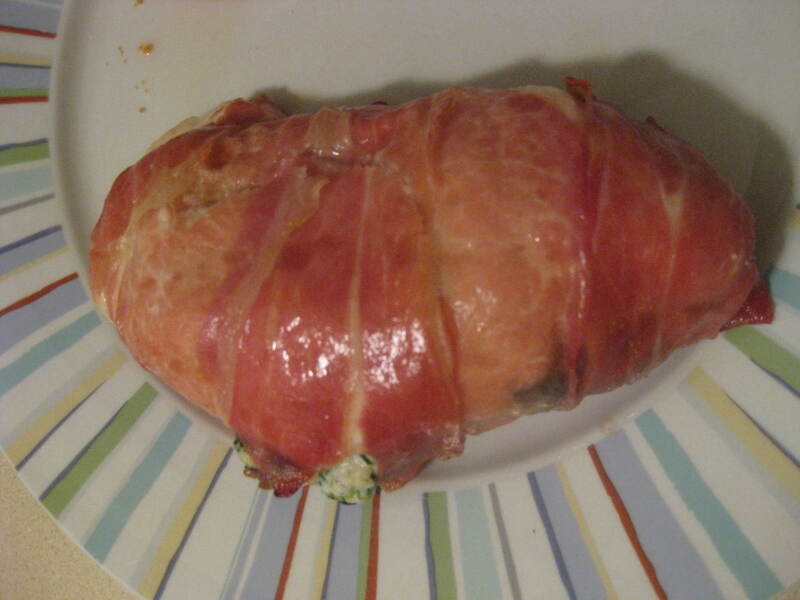 I don’t know why but to me there is something fun about “stuffed” foods! That and they usually involve cheese of some kind, which is always a plus in my book. So I got through my first week back at work! It went really well. The big thing that’s giving me anxiety right now is just getting back into a routine. I was pretty tired all week – not only am I getting up earlier, but I’m on my feet a lot more, which is hard because my knee is still healing. I have two more weeks of physical therapy and then hopefully I can get back to yoga!! I’ve been feeling seriously deprived. So needless to say, I haven’t been cooking a lot this week. (Or the week before because I was completely distracted by something else!) Hence, the lack of blogging. I need to get into a meal planning/grocery shopping routine for sure. One thing I did make time for today was shopping! My wardrobe has needed an overhaul for a while. And I cleaned out my closet a few weeks ago so now it looks even more empty! Here are some things I picked up today. 1. 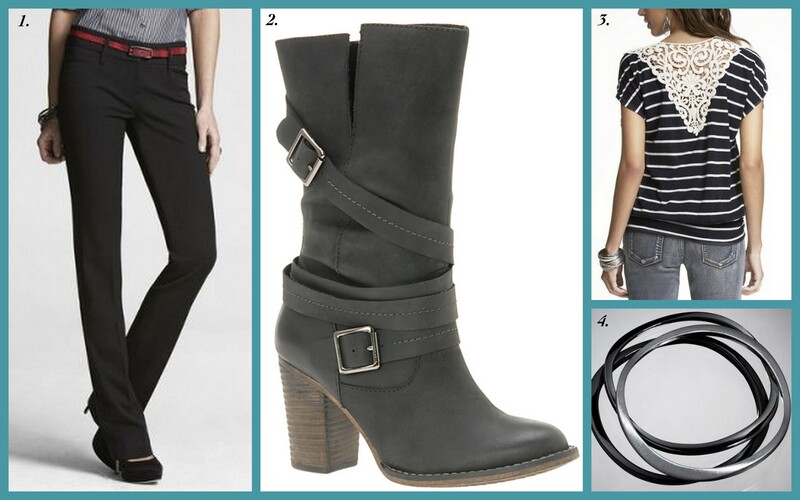 Express Columnist Pant – I’ve been wanting a black pair of slim cut dress pants. I have a few other black pairs but they are looser. 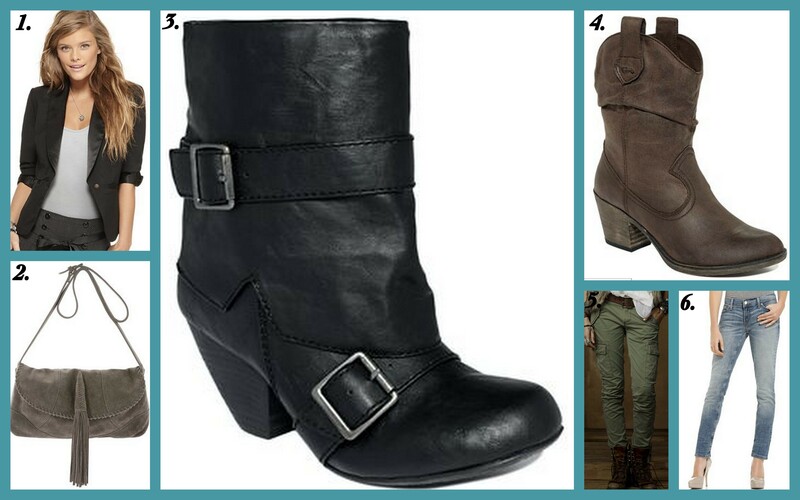 These fit great and are perfect for work! 3. Express Crochet Inlay Striped Tee – Being from Cape Cod, the nautical vibe always sits well with me. Basically anything striped works. And if it’s navy and white, even better. This cute tee looks pretty basic from the front, but it has a beautiful crocheted back! My wardrobe probably doesn’t need any more navy and white stripes, but I just couldn’t resist! 4. Express Sculpted Metal Bangles – I love bracelets, but I have freakishly tiny wrists so bangles have always been too big on me. These actually fit! And you can’t really tell from the pic, but they have a curve to them so they aren’t just plain circles. 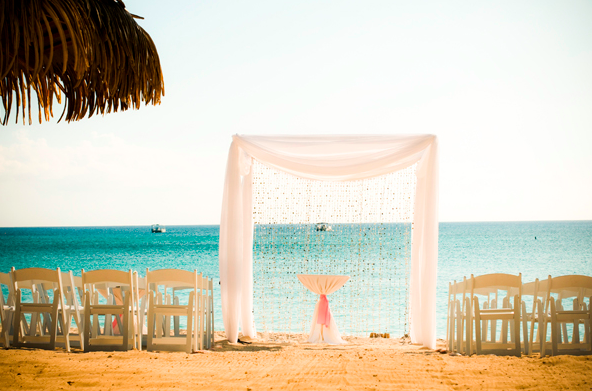 It’s been around 80 degrees here in LA – I’m kind of wishing I went to the beach this weekend! Anyway, I’m hoping to do some baking this weekend, but after that posting might be sporadic until I get a better handle on my schedule. Hopefully I can get into a routine fairly quickly! Date night used to be a weekly thing for me and the boyfriend. We’d try a new restaurant, or sometimes revisit a favorite, and just spend time talking. And talking about work was strictly prohibited! But when I was laid off earlier last year date night kinda went on hiatus. We just cut back on things and that was one of them. Buuuut, I can now officially confirm that I got a job! We found out some more details on Monday and it definitely warranted a celebration. The whole time I was out of work, we said that as soon as I got a job we’d go to our favorite sushi place in Studio City, Katsu-ya. It’s not even a really pricey place, but it was more the principle of not going there until we had something to celebrate. So last night we went! (Sorry for the orangey iPhone pictures.) We started with two of our favorites. 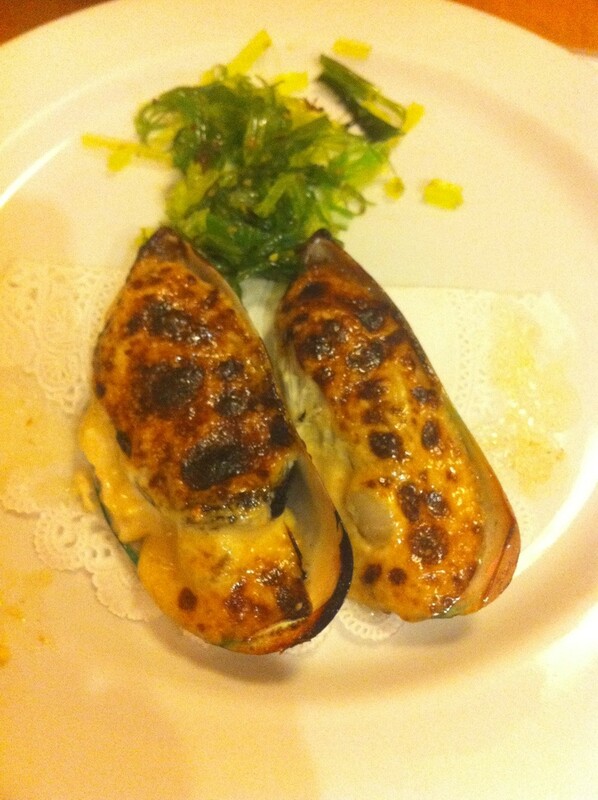 Baked Green Mussels: I literally have dreams about these mussels. They are HUGE, always taste so fresh, and are served in the most amazing cream sauce. I can’t put my finger on what exactly makes this sauce so good. The boyfriend and I both were literally sopping it up with the seaweed salad! Crispy Rice with Spicy Tuna: These rolls are so simple, but so delicious. 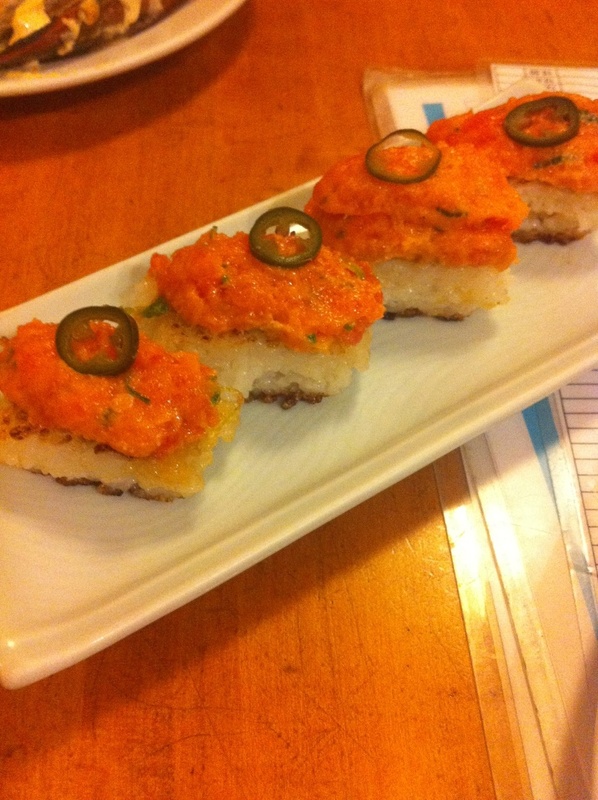 The crispy rice adds a great crunch, and the spicy tuna has just the perfect amount of bite. We always get an order of these! We decided we’d each pick one more roll to get, and were going to order ones we hadn’t tried yet, but we had to get these S.S.C. rolls again. 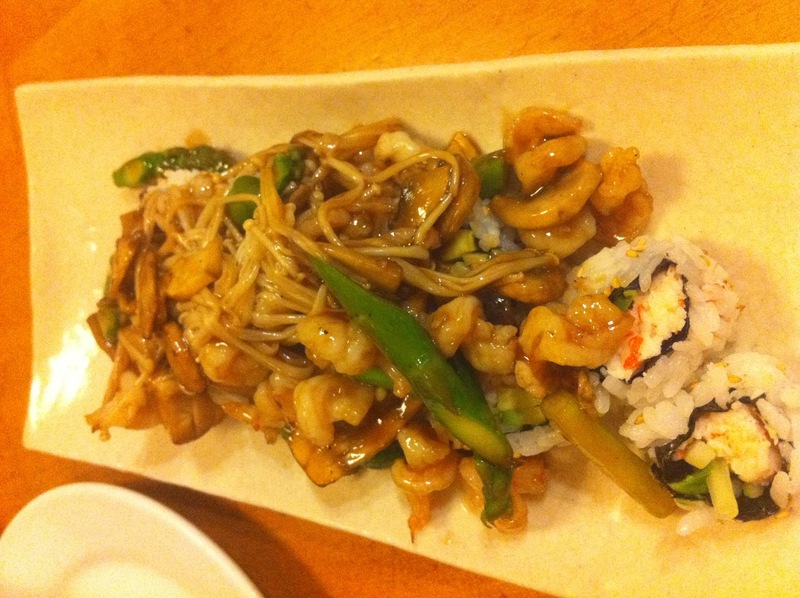 They’re California rolls topped with sauteed shrimp, mushrooms, and asparagus (not sure what the S.S.C. stands for). And of course there is some delectable sauce that it’s all in. And finally we went with the 4 1/2 rolls (again, not sure of the significance of the name!). 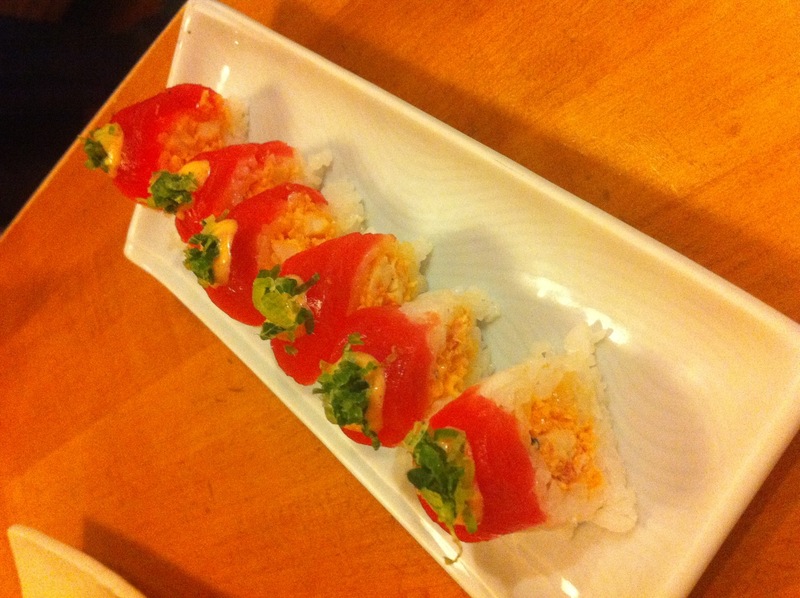 They were spicy shrimp and crab rolls topped with tuna filets, spicy mayonnaise, and green onion. These had a really clean, fresh flavor. I just love me some good raw tuna! It was a perfect dinner, accompanied by two glasses of pinot grigio for me and Sapporo for my man! I haven’t been to Katsu-ya before and not enjoyed everything I put in my mouth. We decided that when I actually start my new job we’ll try out Kiwami, which is the same owner as Katsu-ya but a little fancier/pricier. Just writing this post made me want more sushi! Dinner the other night was super simple, but it came out SO GOOD I just had to blog about it. To be honest, if we want burgers I’ll usually just buy a pack of patties and cook them up. But we had some lean ground beef in the freezer and I just had a craving. You know how those go. So I decided to make burgers from scratch! All I did was break up the ground beef and mix in salt, pepper, and 3 pressed garlic cloves. (Yes, I finally own a garlic press. I got a Pampered Chef press for Christmas. 🙂 How was I living without one!?!?) I also remembered a long time ago, I think on Food Network, seeing a tip to add water to your beef to keep the burgers nice and juicy. So I added some water (I didn’t measure but it was probably 2-3 Tbs.) and hand-mixed it into the beef until it was absorbed. 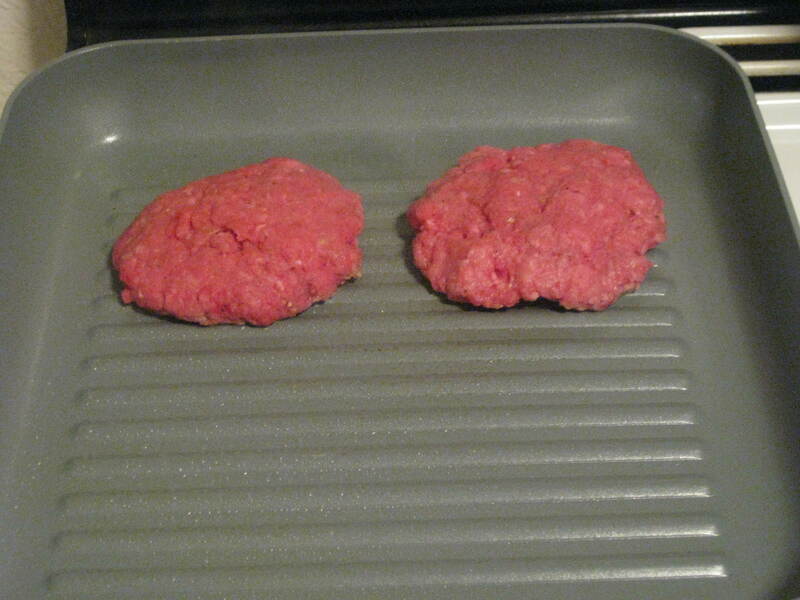 I formed the meat into 4 patties (2 went right in the freezer) and placed them on a grill pan over medium heat. 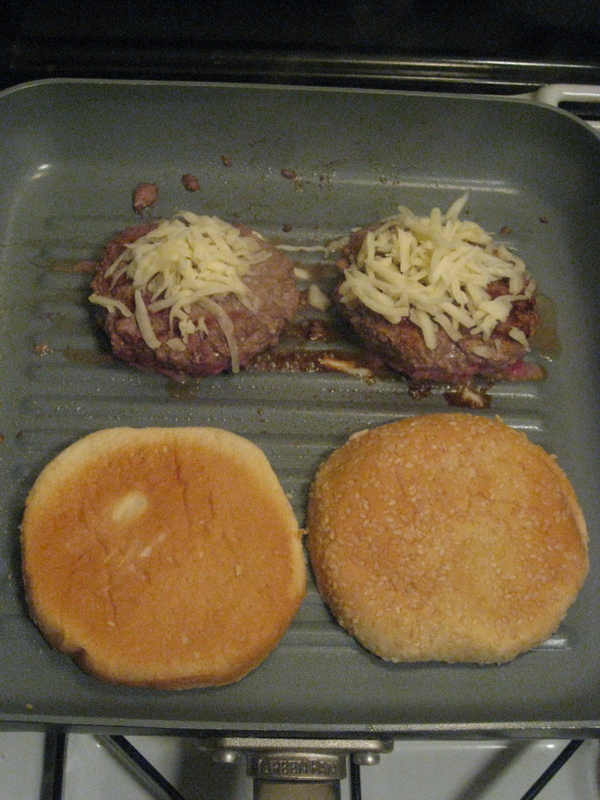 After about 4 minutes we flipped them, added mozzarella cheese, and put the buns on to toast. I noticed the meat was taking a little longer to cook all the way through, so I did turn the heat up to medium-high for probably the last 2 minutes. 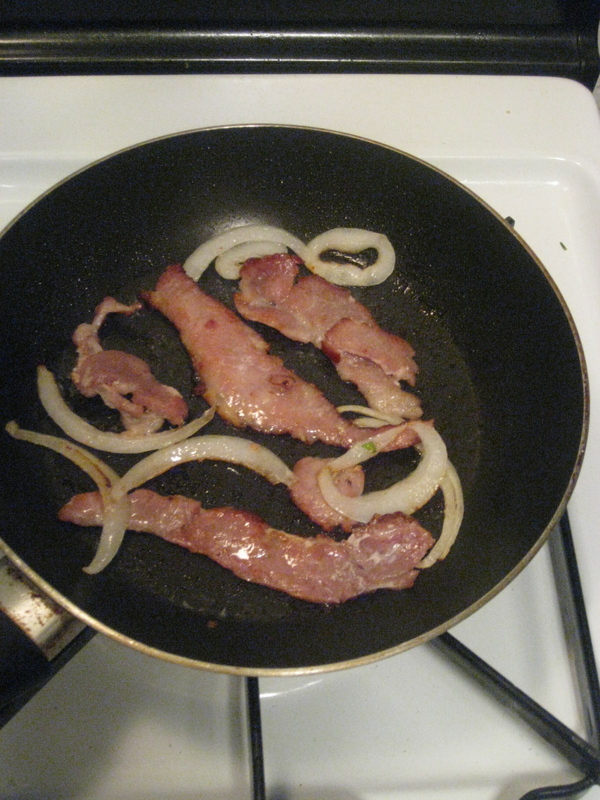 The boyfriend’s toppings (bacon and onion). 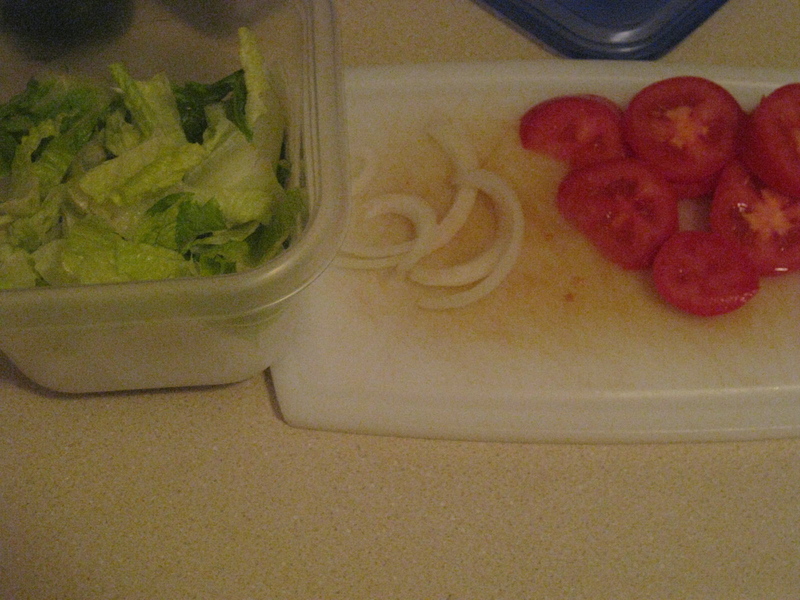 My toppings (lettuce, tomatoes, raw onion). I’m sorry I don’t have a picture of the finished product, but that’s because we devoured these burgers. The garlic flavor was just the perfect amount. 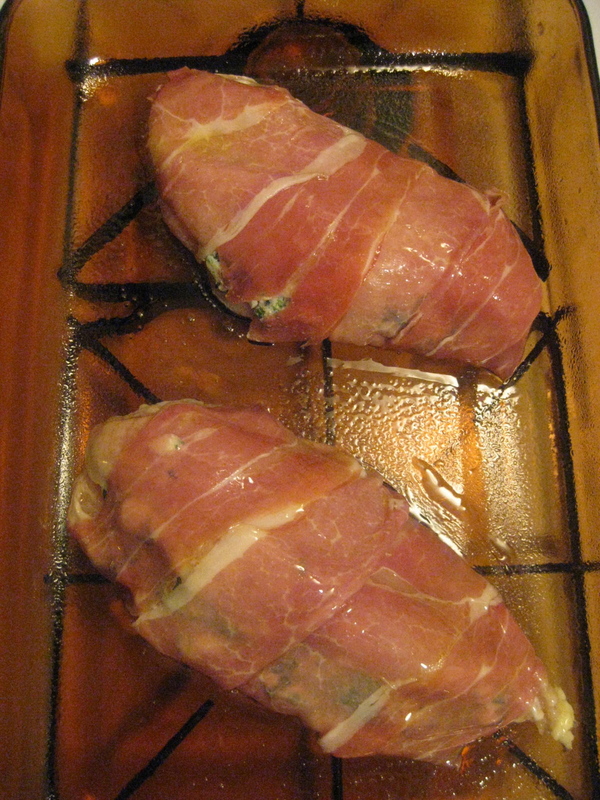 And they were so so so so juicy and perfectly cooked. 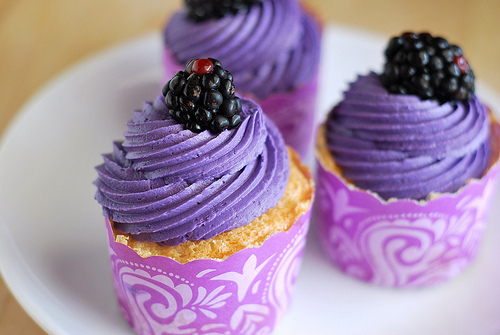 I wish I knew how they turned out so good. It was either the addition of the water or the fact that I started cooking them on a lower heat. I’m not sure! 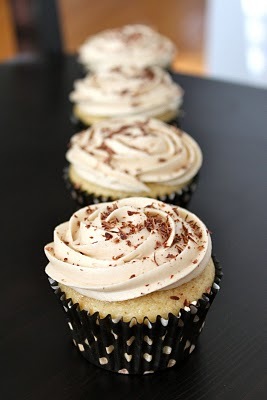 But next time I make these I’m doing it the same way! Now on to the fries! I had one medium-sized russet potato and initially wasn’t sure if this would make enough fries for the two of us. But I cut it into really thin rounds and that ended up being plenty. 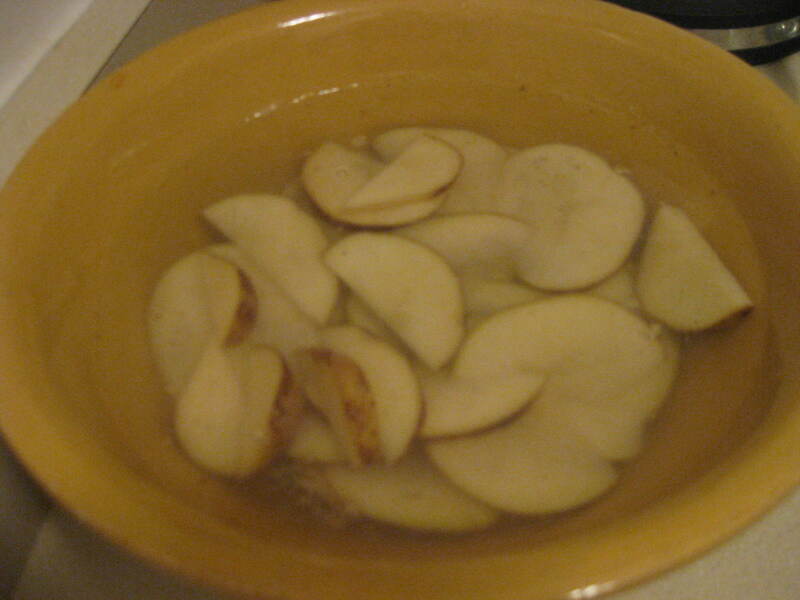 The recipe said to soak the potatoes in water for 1-8 hours to remove some of the starch. I soaked these for about 2 hours. I then drained the potatoes, and mixed in salt, pepper, garlic powder, parmesan cheese, panko bread crumbs, and extra virgin olive oil. I didn’t measure anything out, just did it by eye. 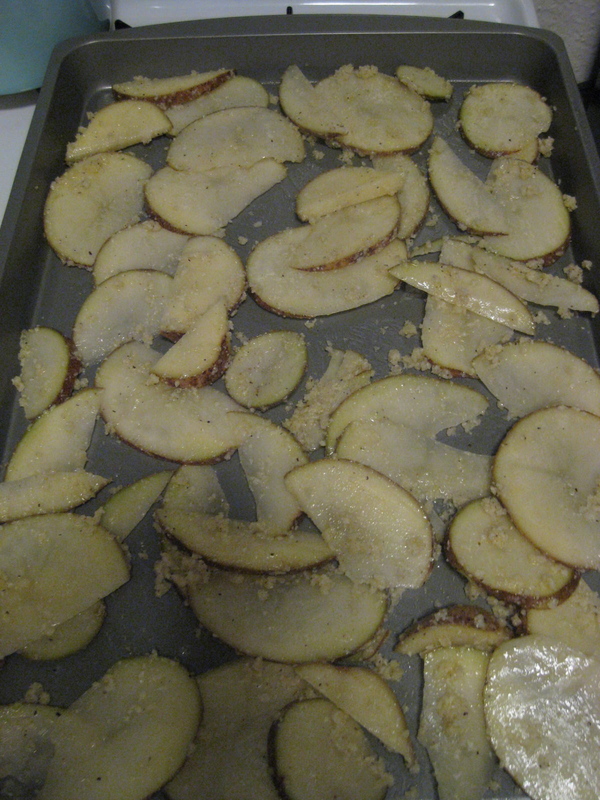 I spread them out on a lightly sprayed baking sheet. 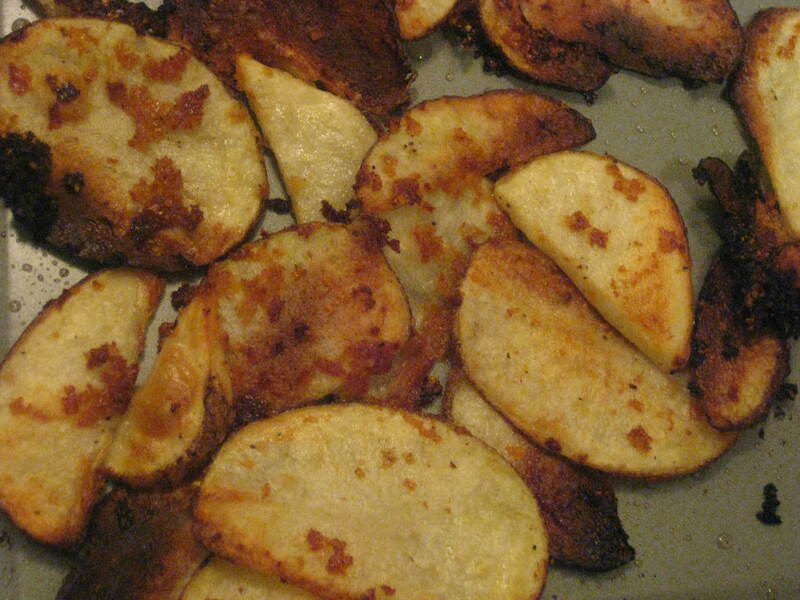 Bake at 450 degrees for 20-30 minutes, flipping the fries over halfway through. Oh. My. Goodness. These were so good. The panko bread crumbs added such a great crunch. And let’s be honest, almost everything is better when you add garlic powder and parmesan cheese. The only thing I’ll do differently next time is to cut these a tad bit thicker. Some of them burned because they were too thin. I think the addition of panko bread crumbs will ensure that the crunch is still there, even if you cut them a little thicker. Overall it was a faaaaabulous dinner! Do you make burgers from scratch or just buy the patties? I don’t think I’ll ever buy patties again! These burgers were so amazing! Macy’s is having a big sale this weekend, and I just happen to have a nice big gift card that I got for Christmas to spend there (thanks Mom and Dad!). I just browsed the website for ideas of what I might want to scope out. Here are some good finds! 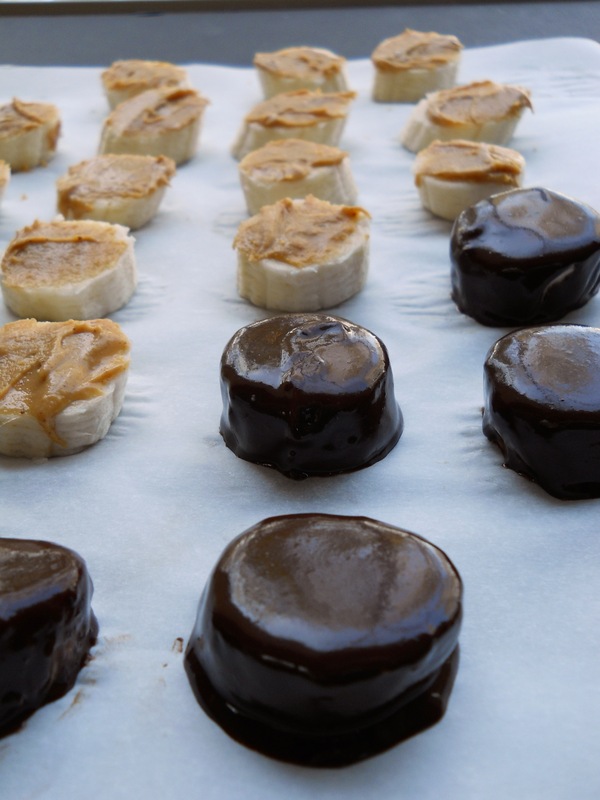 There are just too many mouth-watering ideas on Pinterest to not have a regular post to share them. I’m thinking maybe it’ll be a monthly thing? We’ll try it out! 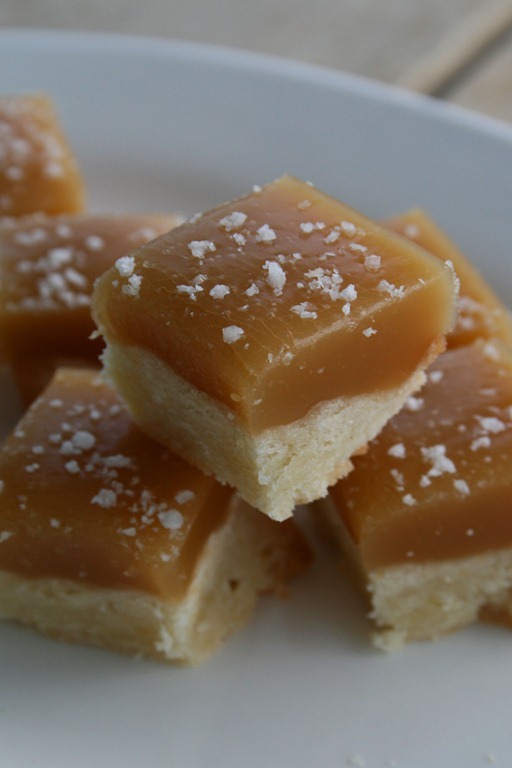 You can find my first two “Inspiring Sweets” posts here and here. 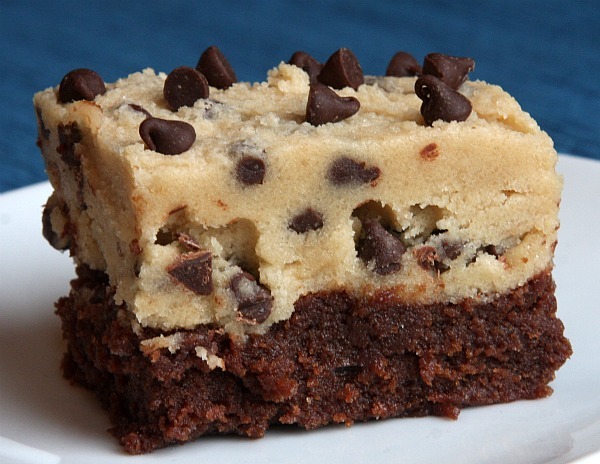 What looks the yummiest to you?